These FOX Racing Shox 2.5 Factory Race Series Reservoir smooth body shocks will give your Wrangler JK enhanced ride quality and the control you need when heading offroad. The 2.5 Factory Race Series shocks use designs from FOX Off-Road racing shocks, so they've been thoroughly perfected in brutal conditions that you will probably never see. The additional Compression Adjustable External Remote reservoir allows for increase oil and nitrogen capacity while delivering a race like appearance. 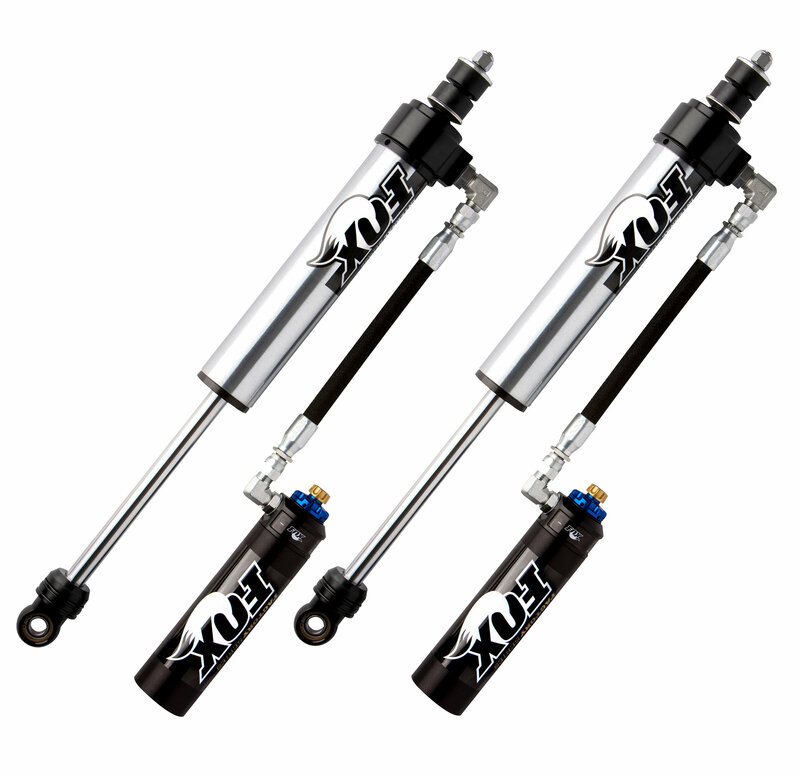 Factory Series shocks provide improved damping in any terrain, on and off pavement. These reservoir shocks are a completely bolt on for your Wrangler JK. These Shocks also come equipped with a Dual Speed Compression adjustment knob for the most perfect suspension tuning and ride quality control. A simple rotation on either of the two adjuster knobs allows for 10 separate low-speed and 12 high-speed compression levels. A black anodized aluminum reservoir increases cooling efficiency. Front Collapsed Length: 15.330" or 15.930" or 17.330"
Front Extended Length: 24.850" or 26.050" or 28.850"
Front Travel: 9.52" or 10.12" or 11.52"
Additional Info: Fox Shock lengths are measured from the bottom of the stem to the center of the eyelet.